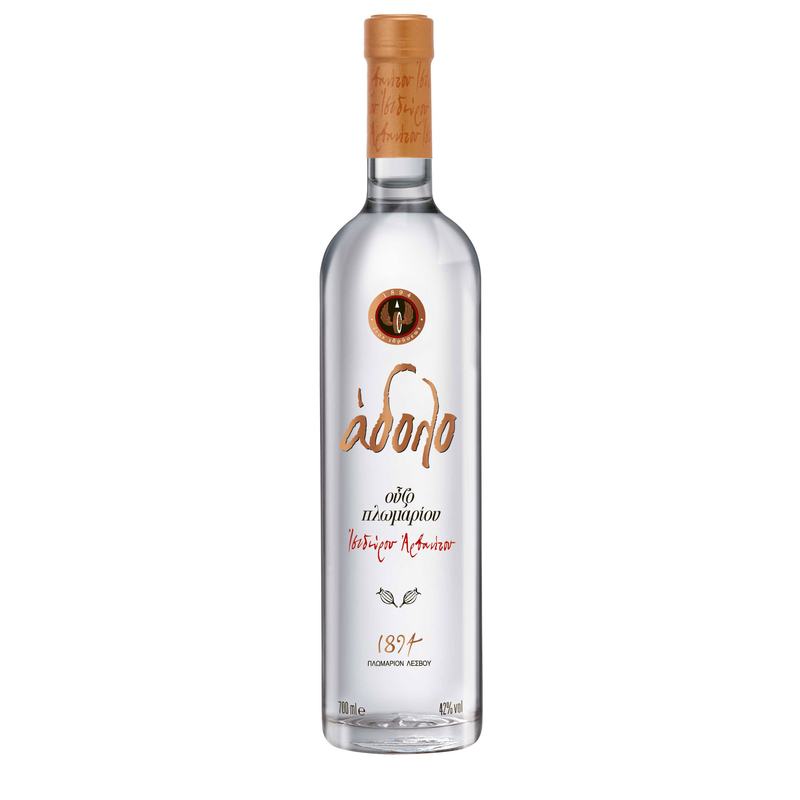 The Adolo with the triple distillation of the "heart" of Ouzo Plomari keeps the essence, the perfect balance of flavor and fragrance in a distillate 42% vol. Has crystal display, clear with dense "tears" and blue emulsion after dilution beverage nero. Distinguished by its sleek and elegant aroma with soft intensity aromas of anise, fennel, cinnamon and chamomile to create their own particular charaktira. Its taste is semi-arid, with hot alcohol and full body. Soft intensity aromas of anise, fennel, mastic Kakouli and cinnamon. Oily, pleasant texture with a long and slightly sweet finish that expresses the authentic character of the spirit. Skinos Mastiha is a liqueur-like beverage with a unique burnt marshmallow nose and a distinct, unforgettable, unique flavour like a pine sap flavoured marshmallow.